Katy Perry Will Be Announcing More Prismatic Tour Dates Soon! Its only matter of time now Katy Cats! Katy Perry should be announcing more dates to the Prismatic World Tour. So far the “Dark Horse” singer has only announced dates in May in the UK. More Prismatic dates will be right around the corner according to internet rumors! Icona Pop will be joining Perry on the UK portion of the tour, no word yet if they will continue to tour with Katy on the remainder of the Prismatic Tour dates. The UK tour kicks off on May 7th and is currently set to wrap up on May 30th. Where will Perry be announcing her next batch of tour dates?!! North America is hoping to be the next to be announced with tour dates kicking off immediately after UK’s dates in June. Perry is thrilled to be bringing her fans new music from her Prism Album as well as older favorites. Ger ready for more dates to be announced soon, when she does head over to the Katy Perry Tickets page and get your seats before they sell out! Katy Perry will be announcing today that she will be opening up the American Music Awards on November 24th! Perry will kick off the famous awards show with her new single “Unconditionally” and is setting the stage for some surprises. Katy Perry is currently in Germany right now finishing up what ended up being a whirlwind Prism promotional tour. She will then fly to Miami and then head back over to Los Angeles. Katy Perry Prism Tour dates will be announced by the end of the month, so Katy Cats better be ready to get their Katy Perry Prism Tour tickets cause they will go FAST! Someone finally dethroned Justin Bieber from the top spot in twitter world! 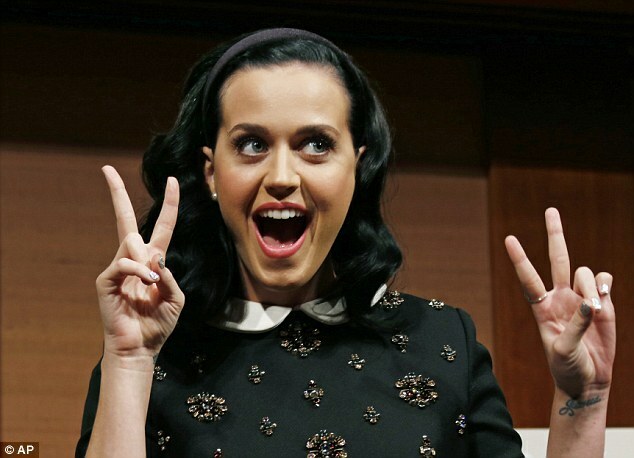 This past weekend Katy Perry passed Bieber with twitter followers. Bieber has held the coveted spot since January when he stole it from Lady Gaga who now stands at a No 3 spot, right in front of Barack Obama! Perry is currently up to 46,527,550 and moving quickly. With the announcement of her new album and tour coming up her followers are clicking on her page every minute. And it certainly helps to have a little support from One Direction fans after Niall Horan ‘proposed’ to Perry in Tokyo and she graciously ‘accepted’. It’s only a matter of time before Bieber fans try to hashtag it out and jump ahead of Perry. For now, Katy Perry can remain queen of twitter with her millions of Katy Cat followers. Niall Horan from One Direction has finally got his wish! An Instagram tweeted out shows the 1D member smooching on Katy Perry backstage at the Music Station in Tokyo. One Direction is in town for a short Japanese “Take Me Home Tour” which kicks off tonight. Katy is in Tokyo on a promotional tour of her latest album “Prism” which now is a No 1 album debut as well as the biggest record by a pop female artist this year! “GOOD morning! (from TOKYO) I woke up to the news that we are #1 with the #PRISM debut & become the biggest record by a pop female this year! 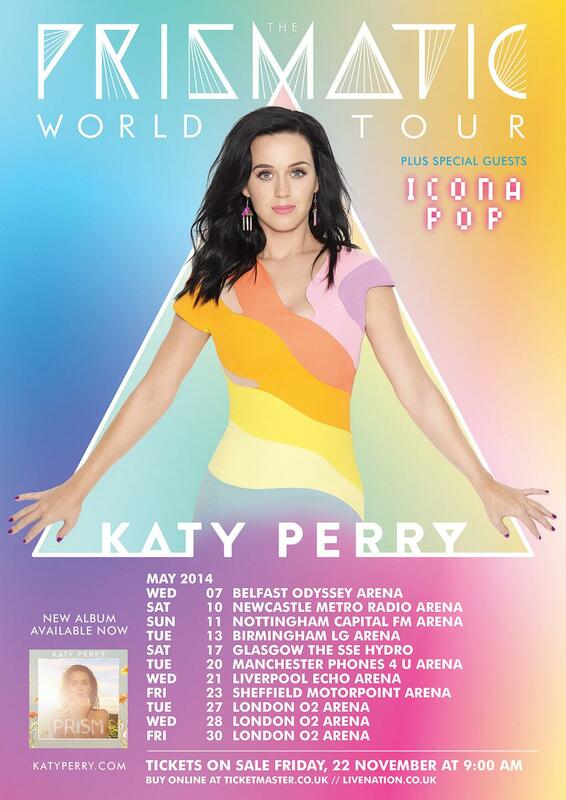 Big announcement coming….Katy Perry Prism Tour Tickets and dates will be available to all Katy Cats very soon! Katy Perry put on an amazing performance yesterday at the Sydney Opera House in Australia. The pop star is in the Land Down Under on a promotional tour for her new album “Prism” which was released last week. Perry looked amazing, flashing her toned stomach and pearly whites, crop top and matching skirt. The show was aired on an Australian news show, ‘Rise’ . Katy showed off her skills of jumping rope, and what also appears to be her work out routine. She didn’t miss a beat skipping on stage in high heels, and didn’t break a sweat for that matter! Katy is headed to Japan next to continue her promotional tour of her album, she plans on hitting a few more stops around the world and then the big announcement is coming of the Katy Perry Prism Tour 2014! Katy Perry has just landed down under in Australia and is enjoying a little time out for herself before her performance on the X-factor season finale. Perry not only will be performing on Monday night but will be in Australia to promote her new album “Prism” which was just released last week. 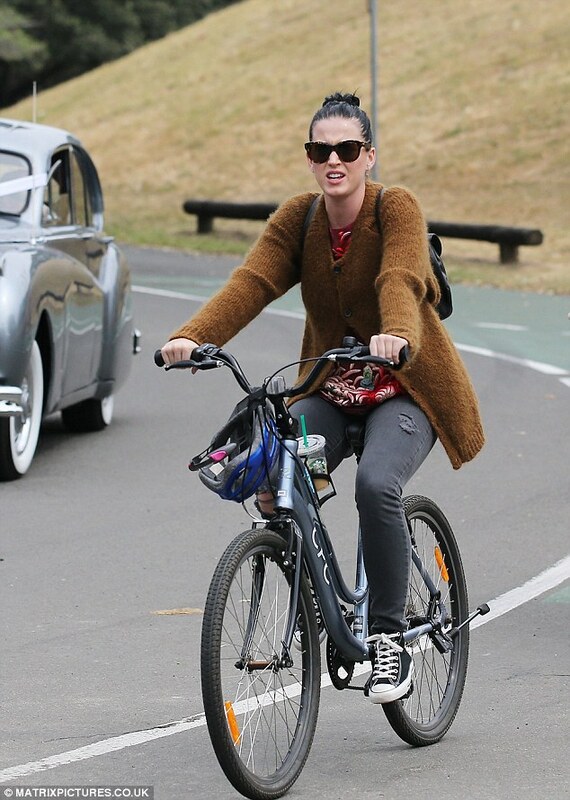 Perry spent the afternoon biking around with her entourage and visiting some of Sydney’s local shows in Bondi. The day ended with drinks at the Ravesis Bar . Currently Perry’s album “Prism” has debuted at the top of the UK chart which makes this her second No. 1. We are just a few steps away from the official Katy Perry Prism Tour announcement! We can feel the excitement from all the fans and devoted Katy Cats!